The Ivoryton Players are presenting a fully staged reading at the Deep River Town Hall Theater. 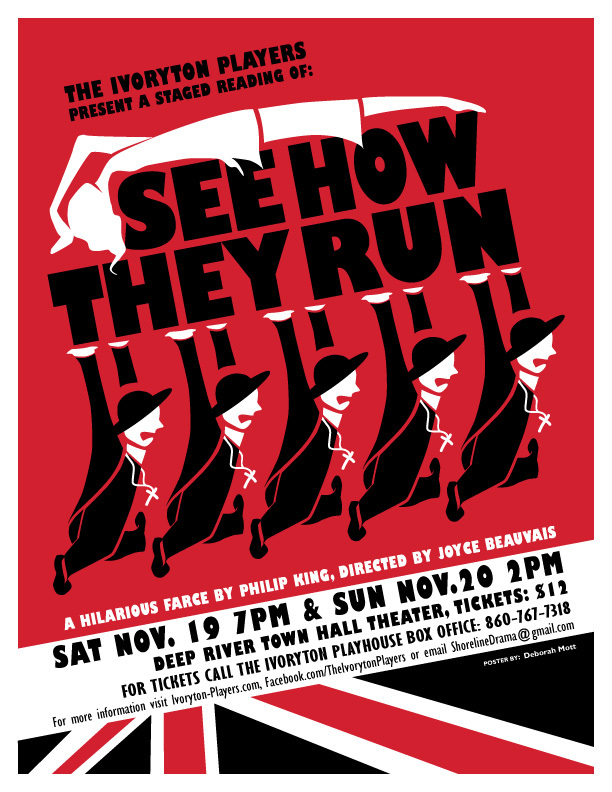 The play is See How They Run by Philip King. Directed by Joyce Beauvais. The dates and times are: Friday, November 19, 2016 at 7PM and Saturday, November 20, 2016 at 2PM. Parking at Walgreens, Bank, School and Adams. See How They Run is a zany, hilarious farce set in a British country vicarage just post WW II. The hilarity begins when an American Soldier dons a Vicar suit to see “Private Lives” outside of his jurisdiction. Soon we have many vicars, a Russian Spy, Bobbys, a squiffy church lady and more! Philip King wrote his play as an homage to Noel Coward. It is crazy funny!! 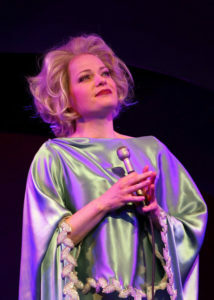 Ivoryton – Based on the life of Rosemary Clooney, American’s favorite girl singer comes to life on stage in this exhilarating and inspiring musical biography. Tenderly is not a typical “juke-box musical.” It offers a fresh, remarkably personal, and poignant picture of the woman whose unparalleled talent and unbridled personality made her a legend. With her signature songs woven in and out, we learn both the story of her successes on film, radio, and TV, as well as her struggles in her personal life. “I’d call myself a sweet singer with a big band sensibility,” Rosemary once wrote. She came to prominence in the early 1950s with the novelty hit “Come On-a My House”, which was followed by other pop numbers such as “Mambo Italiano”, “Tenderly”, “Half as Much”, “Hey There” and “This Ole House.” Clooney’s career languished in the 1960s, partly due to problems related to depression and drug addiction, but revived in 1977, when her “White Christmas” co-star Bing Crosby asked her to appear with him at a show marking his 50th anniversary in show business. She continued recording until her death in 2002. This production was developed and premiered by The Human Race Theatre Company and produced at Cincinnati Playhouse in the Park. Michael Marotta* will be revisiting the role of the Doctor that he helped develop and Kim Rachelle Harris* will be making her debut as Rosemary Clooney. 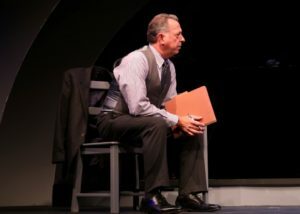 The production is directed by Brian Feehan, musical directed by Dan Brandl, set design by William Stark, lighting design by Marcus Abbott and costumes by Rebecca Welles. 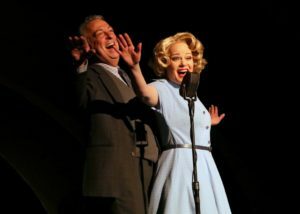 Tenderly: The Rosemary Clooney Musical opens at the Ivoryton Playhouse on October 26th and runs through November 13th, 2016. Performance times are Wednesday and Sunday matinees at 2pm. Evening performances are Wednesday and Thursday at 7:30pm, Friday and Saturday at 8pm. Members of the press are welcome at any performance after October 28th. Please call ahead for tickets.